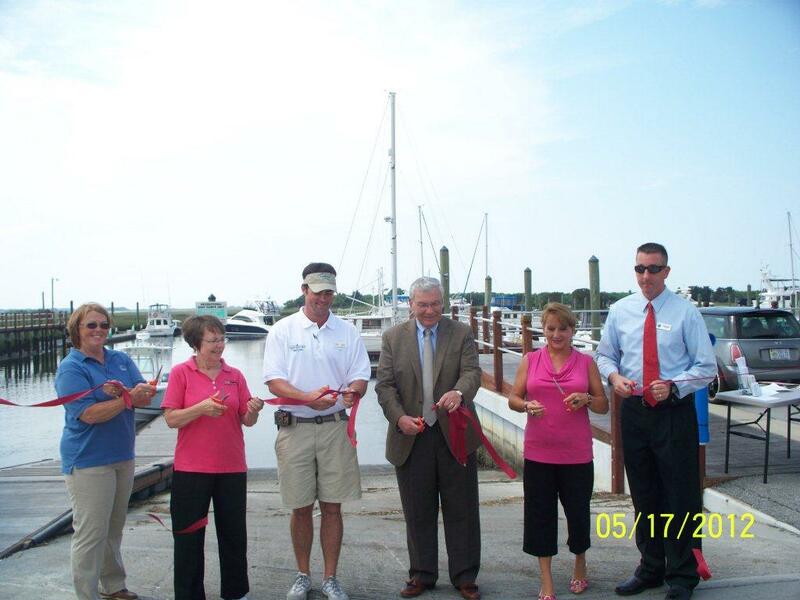 On May 17, 2012 the kickoff for the SEA-MDI sponsored Tracking Monofilament Line Recycling to Make a Difference for Our Wildlife project occurred with a ceremonial ribbon cutting. Thursday, May 17, 2012 – 11 a.m.
What’s All This Fuss About? What Is A Clean Marina? In the photo (from left to right): Pat Durrett (Clean Marina), Judy Bolin (NC Big Sweep), Hank Whitley (Southport Marina), Southport Mayor Robert Howard, Kimberley Thompson (Brunswick County Solid Waste and Recycling), and Alderman Todd Coring. Fifteen monofilament recycling bins have been placed at marinas and will be recording the line collected. 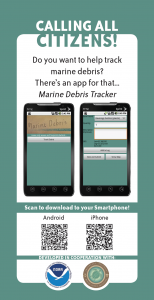 Beyond that, people visiting the marinas are being educated about marine debris and have the opportunity to download the SEA-MDI app Marine Debris Tracker. The sticker below is also placed on the bins. This entry was posted in Grants and Projects, Marine Debris Characterization and tagged Clean Marina, Judy Bolin, monofilament line recycling, North Carolina Big Sweep, Southport Marina. Bookmark the permalink. Check our blog for information on how you can be a citizen scientist by sending marine debris.